Home › Science Philosophy and History › Is Heaven Physical? Can Angels Play Tennis? Does this statement not imply the afterlife is comprised of corporeal, physical matter attributes, having properties of a physical existence? And if so, how is it possible, where, on what plane of existence? After all, you can’t play tennis and hit a ball which does not exist with a racquet that does not physically exist either. These statements empirically define a physical world. We’ll skip over divine reality for now. It’s beyond our human experience anyway. When our physical senses are active, we sense and feel physical objects. When our spiritual senses are active, we sense and feel spiritual objects—which look, sound, smell, taste, and feel the same to our spiritual senses as physical objects do to our physical senses. So even though the spiritual world is not made of physical matter, it is a real and solid world, in which we live very human lives. Let’s look at all of this more closely. Isn’t physical matter required for a tangible existence? To continue with my inquiry, I am going to correlate our ‘soul’ with our energy, or spark of life as some may call it, or our ‘life force’, since this energy does exist within us in the physical sense until our death. Its origin is still unproven, and its departure from us still holds many mysteries. However, our physical existence is comprised of chemical reactions to, and creating, electrical impulses which further our existence, or life, as we call it. Therefore, in this context, I liken it to our ‘soul’, for definition. If, when we die here on earth, our (energy) soul continues on with its existence and ‘life’ persists pretty much the same, then where is the new physical matter world that the soul must become part of to experience such continuation? To the best of any scientific position I know of, our energy would still exist in this plane, just as our lifeless physical body does. How could it not? Energy is a measurable attribute (though our ‘soul’ technically is not – a conundrum in itself here), and laws of physics do apply, specifically The Law of Conservation of Energy, in that, energy simply cannot just disappear (leave our plane of existence). So, where does it go to to become part of this afterlife you describe? This descriptive ‘life’ above would require physical matter to exist, physical food sources (and the need for them, or many would be jobless! ), engineering, mechanics, bio-energy sources and the utilization and consumption thereof, etc, and the whole gambit of material presence we refer to as life here on earth. Yet no physical world or destination is ever presented as the afterlife, or that of which we are taught, or what we are given as any definition to Heaven, Hell, or Eternity for that matter. In fact, it appears to be just the opposite. If one is to believe in the dogmatic teachings of faith and religion, that is. Another point or two that has been pestering me is what I ran across in others’ reviews regarding Swedenborg’s Heaven and Hell. His interpretation of Heaven, or presentation thereof, did not include animals (or pets) having the same attributes they have here on earth (animals do not have souls). Or that beautiful gardens may, in fact, be only mirages and not actually made up of all the flora that exists in creation, complete with its different textures, aromas and other attributes. How would this be possible in your scenario? Does this not conflict with your presentation? What is your interpretation of these points? How does this coincide with what you stated above? There are animals and plants in heaven. And they have every bit as much structure, detail, and complex functionality as animals and plants on earth. It’s just that rather than existing independently of our thoughts and feelings, the plants and animals in heaven reflect the thoughts and feelings of the angels living in the area. This actually makes them more real, not less, than the plants and animals here on earth. But let’s get to the overall question. Once we get some answers to that under our belt, what I just said about animals and plants in heaven might make a little more sense. Each one of these exists in its own distinct realm. Divine reality is God, who is the source of the other two levels of reality. God is not made of physical matter, nor is God made of spiritual substance. God is made of infinite divine substance, which is love (see 1 John 4:8, 16). Now, love may seem like a wispy, ethereal thing. And yes, it is immaterial. But it is not wispy. Divine love is a real substance that is both infinitely tangible and infinitely energetic on its own (divine) level. In other words, divine love is both a substance and an energy. That substance and energy is the source of spiritual substance and energy, and it is also the source of physical matter and energy—which is created through and from spiritual substance and energy. Now, if divine reality created spiritual and material reality, it must be more real than spiritual and material reality, not less. However, as I also said above, divine reality is beyond our human experience. So let’s look at spiritual and material reality. Material reality is easy enough. We see, hear, smell, taste, and touch it every day. It seems like the realest of reality because we can stub our toe on it. And yet, what really drives us and defines us as human beings? Is the particular configuration of our physical body what defines us? Or are we, rather, defined by what is in our heart, mind, and character? The things that make us truly human are all non-physical. They are our loves, our motives, our ideas, our aspirations, our emotions, our skills and capabilities, our relationships, and so on. Take all of these inner, spiritual things away from us, and what’s left? Not much. Just a complex lump of animated flesh. It is, in fact, our mind and heart—meaning our spirit—that drives our physical body. Our physical body is merely a tool in the hands of our spirit. Yes, it’s an incredibly complex and amazing tool. But it’s still just a tool. It does what our mind tells it to do. So when we think of physical reality as being the realest of reality, we’re not paying attention to what actually is most real and most important in our own life and our own experience. It would be more accurate to say that physical reality is more solid and stable than spiritual reality. To our ordinary, unenhanced senses, physical objects look very solid and real. If we bang our head against a brick wall, it hurts! If a rock crushes our head, we die. And yet, modern physics tells us that matter is mostly empty space. When we bang our head against a brick wall, it is not really two lumps of stuff bumping up against each other. Rather, it is electromagnetic and atomic forces encountering each other and resisting—or giving in to—the electromagnetic and atomic forces of the other object. 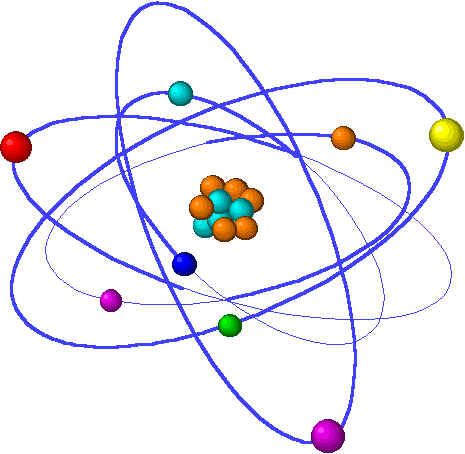 The most “solid” part of an atom is the nucleus, where the protons and neutrons are. However, in the ordinary matter that we encounter every day—walls, tables, swimming pools, and so on—the atomic nuclei never get anywhere near each other. Instead, the interactions between atoms primarily consist of electromagnetic and other interactions among the tiny little electrons that whiz around at high speed and at great distances (atomically speaking) from the nucleus. So in ordinary matter, nothing really touches anything else. The structure consists of atomic and subatomic forces interacting with one another in very complex ways that either lock the atoms and molecules together into a solid structure (in solid matter) or allow the atoms and molecules to slide past one another (in liquid and gaseous matter). Though it’s not really an accurate picture, you could think of an atom as an incredibly tiny version of our solar system. There’s a nucleus, represented by the sun, around which a number of electrons orbit, represented by the planets. How solid is our solar system? In terms of ordinary matter, our solar system is mostly empty space. It has only a few little chunks of matter (the sun, planets, asteroids, and so on) spinning through a vast space. Most of the time, none of them actually touch each other. They are all held together by gravitational forces that act over large distances. Whole chunks of matter can go flying right through the solar system without ever hitting anything. On their own tiny scale, that’s how it is with the atoms and molecules that make up the “solid” objects we encounter every day. Their “solidity” is something of an illusion. When we grab something or bump into something, what feels solid to us is really a complex interaction of forces repelling and attracting one another. Even this is a vast simplification of the incredible complexity of continually forming and decaying subatomic particles and forces that all go together to make objects that to us just look like a brick or a hammer. So how real is this material world that we live in? The closer we look, the more we discover that this planet we live on is nothing like the solid, stable, almost inert chunk of stuff that it appears to be. The real miracle of the material universe is that anything manages to exist at all given the maelstrom of forces, waves, particles, and other odd stuff continually being created and destroyed and constantly whizzing around inside of everything we see. Physical reality is very different than it seems. It’s much more complex and elusive than most ordinary mortals can possibly imagine. Given the complexities of the material universe, which scientists are only just beginning to understand, is it really so strange to consider the possibility that there are whole other orders of reality that aren’t visible to our physical senses? 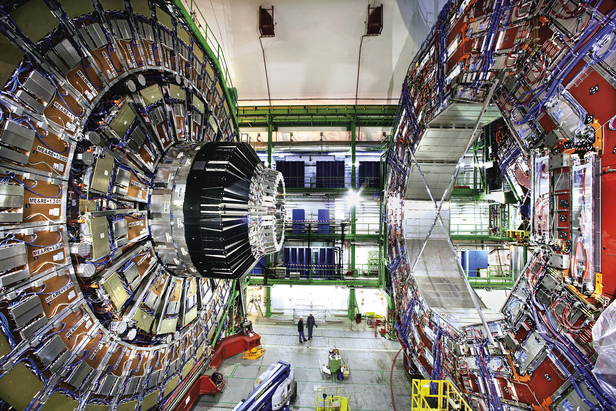 Most of what we consider solid, material reality consists of forces and tiny structures that push the limits of what our physical senses can perceive even with massive scientific instruments costing billions of dollars to construct. What greater complexities and wonders await us as we look deeper and deeper into the nature of the universe? Think, in particular, about the incredible complexities of the human mind and human consciousness. Some materialistic scientists confidently state that these can all be explained as electromagnetic impulses and fields operating within the physical brain and body. But we’re so far from being able to explain human thoughts and emotions through science that such statements are really just expressions of pure faith on the part of those scientists that the system they believe in—science—will ultimately be able to explain even the mysteries of human consciousness. In reality, our experience of those things is on a whole different level than our experience of kicking a ball or eating a sandwich. Is love really the same sort of thing as a banana? Is an idea really the same sort of thing as a rock? Love, ideas, motives, desires, emotions, intelligence . . . these things all operate in a sphere of reality that is quite distinct from the various material objects and forces that form the physical universe. Yes, the two interact with one another, such as when we give someone a bear hug because we love them so much. But a hug is a very different thing from love. One is physical. The other is spiritual. Love is not made of physical matter. Neither is thought. These exist on an entirely different level of reality. Our human experience tells us that we operate on two distinct levels. One is our physical body, and all its physical interactions with the physical objects around us. The other is our mind, or spirit, and all of its interactions both within our own mind and with other minds and spirits around us. As long as we are here on earth, our mental and spiritual interactions with other people take place through our physical body—through our words and actions. But what about after we die? What about when we leave our physical body behind? Do we then become wispy clouds of ethereal energy wafting through interstellar space? No, we don’t. Because even though our physical senses can’t detect it, our spirit operates within a very real and solid world of its own. That world is the spiritual world—a world that is made, not of physical matter, but of spiritual substance. And when our spiritual senses are activated, we can touch and feel spiritual substance just as easily as we can touch and feel physical matter with our bodily senses. That’s because we are then conscious in a level of reality that is entirely distinct from physical reality, and yet is very real—in fact, more real than physical reality. In our ordinary, everyday experience, which has more power, matter or spirit? Yes, physical matter does have a certain amount of force. A strong wind can knock us over. A fire can scorch and burn us. A flood can drown us. But look at what the human mind has done with the material world around us! Through the power of our mind, we have harnessed many of the forces of nature, and put them to work to serve our needs. We have built skyscrapers, roads, automobiles, airplanes, and any number of other things to make our lives easier, to extend our power within our material surroundings, and to make it possible for us to have many more complex relationships with one another than we could otherwise have. So which is really more powerful? Physical matter or the human spirit? Perhaps the physical universe will win out in the end. But the end of that story is not yet written. Our daily experience tells us that the human spirit controls the material world in which we live much more than the other way around. Most of us have at least some experience of how solid and real the spiritual world can be. That experience is in our dreams. When we are dreaming, none of what we are experiencing is happening physically. And yet, the dream often feels just as real to us as our waking experience. In fact, sometimes it is much more vivid than our waking experience. In our dreams, we eat, we travel, we make things, we make love. We talk to other people and share experiences with them. We see vast vistas or go through dark and scary tunnels. Sometimes we wake up from nightmares with our heart pounding and sweat dripping off our body. Or we may wake from a beautiful dream with a sense that there really is meaning to our often dark and dreary days. Dreams are like a visit to a spiritual movie theater. They’re not exactly like the everyday experience of angels and spirits in the afterlife. But they do show us that we can have very real and tangible experiences that are entirely non-material. They take place only in the world of the mind. A more direct experience of the spiritual world comes to us through the growing torrent of reports of near-death experiences. When people who almost die come back and tell us about another realm that they visited, they do not describe a vague, wispy, and shadowy world. In fact, near-death experiencers commonly report that compared to what they experienced in the other world, this material world seems vague, dim, and unreal. This solid and real spiritual world is the world we inhabit after our physical body dies and our spirit moves on to the next world. We know that the material reality consists of many very complex interactions that form a highly structured objects and relationships between objects. This is even more true of spiritual reality. Consider our body as an example. An adult human body consists of about 100 trillion cells, forming a very complex and varied set of bones, muscles, ligaments, organs, and other structures, all put together in a very exact order to form something that we think of as one body. Every one of those incredibly intricate and complex structures is necessary for the body to exist and function as it does. The same thing is true of our spiritual body. Our spiritual body is not some wispy, smoky, cloudy thing, nor is it a ball of unorganized energy. Rather, our spiritual body is just as intricate, organic, and complex on the spiritual level of reality as our physical body is on the material level of reality. Our spiritual body looks exactly like our physical body. It has a head, torso, arms, legs, hands, feet, genitalia, and every other visible structure of the body. And it contains within it every part and organ that our physical body contains: brain, heart, lungs, liver, kidneys, spleen, pancreas, muscles, bones, and so on. Spiritual reality doesn’t just magically function. It functions through specific, organized structures just as physical reality does. In fact, spiritual structures are the source and pattern of the physical structures that we see here in the material universe. That’s why when we enter the spiritual world, we will see everything that we see here: animals, plants, rivers, mountains, stars, and of course, other people. As we go deeper into the spiritual world, we will see even more things that can’t or don’t exist in the material world. That’s because spiritual substance is far more subtle, pliable, and responsive to God’s creative energy than physical matter is. So if you’ve held to some idea of the spiritual world as a vague and shadowy place consisting of pure energy zipping around, put that idea out of your mind. Or perhaps think more deeply about it. Remember how this physical world is very different than it seems to our senses? Much of what we think of as solid consists mostly of electromagnetic and atomic forces attracting and repelling one another in very complex ways. The same is true of spiritual reality. Yes, there is actual substance in the spiritual world, just as there is actual matter in the physical world. But at least as far back as Einstein we have been aware that matter and energy are interchangeable: one can be converted into the other. The same is true of spiritual reality. Spiritual substance and spiritual energy can flow and convert seamlessly into one another even more easily than physical matter and energy can. That’s because spiritual substance and energy operate at a higher and more subtle level than physical matter and energy. You see, since spiritual substance is . . . well . . . spiritual, it does not respond to physical forces and physical stimuli as matter does. Instead, it responds to spiritual forces and spiritual stimuli. This means, practically speaking, that spiritual substance is very responsive and adaptable to the thoughts and feelings of the angels and spirits nearby. That’s why all the objects we see in the spiritual world are reflections of the mental and emotional states of the spirits and angels there. For example, if angels are having tender and gentle feelings toward one another, beautiful and gentle animals such as sheep and deer will appear nearby. But if evil spirits are having fierce and combative feelings toward one another, fierce, predatory animals such as tigers and alligators will appear nearby. Does this mean that the scenes angels and spirits live in are constantly changing? Some things in the environment of angels and spirits remain very stable day in and day out. That’s because they reflect the settled personality and character of the angels and spirits. For example, Swedenborg describes angels living in particular types of houses, from tents to wooden structures to vast ornate palaces, depending on whether their minds are simple and loving or more practical in orientation or highly intellectual and complex. Though there may be some changes here and there over time, the dwellings of particular angels and spirits remain stable for thousands of years because they reflect the basic, settled character of those angels. Other things in the environment of angels change and vary from day to day, and even from minute to minute. For example, birds, Swedenborg says, reflect the thoughts and ideas that flit through our heads from moment to moment. So the birds we see around us in the spiritual world will be just as varied and changeable as our varied and changing thoughts throughout the day. Come to think of it, different varieties birds are constantly coming and going here on earth, too . . . . So you see, the spiritual world is really not all that different from the material world! It’s just that the scenery of the spiritual world corresponds to the mental and emotional states of the angels and spirits who live there. So the environment we live in there is just as stable—and just as varied and changing—as is our character and our daily flow of thoughts, feelings, and activities. There is a certain stability due to the basic stability of our underlying character. There is also continual change and variation that reflects our changing moods and changing subjects of thought throughout the day. In this way, the animals, plants, and scenery of heaven are much more real than those of the physical universe. Because in heaven, everything we see, hear, smell, taste, and touch immediately and perfectly reflects the realities of heart and mind, of love and wisdom, that are the deeper substance and form of the universe, and the greatest realities of our own human existence. On the outskirts of the city there are various sporting events for teens and young adults. There are running games and ball games, including a game with a rebounding ball, called rackets. There are also contests in the arena for teenagers in order to see who is quicker or slower in speech, action, and perception. Those who are quicker are awarded a laurel wreath as their prize. There are also many other activities designed to bring out the young people’s hidden talents. Swedenborg wasn’t talking about tennis. He was talking about the game of rackets—which had recently become all the rage in eighteenth century Europe! And it wouldn’t surprise me if the angels in those communities of people who lived in eighteenth century Europe are still playing rackets. As for me, I’ll take tennis! Or maybe volleyball. Or soccer . . . that’s a good game. 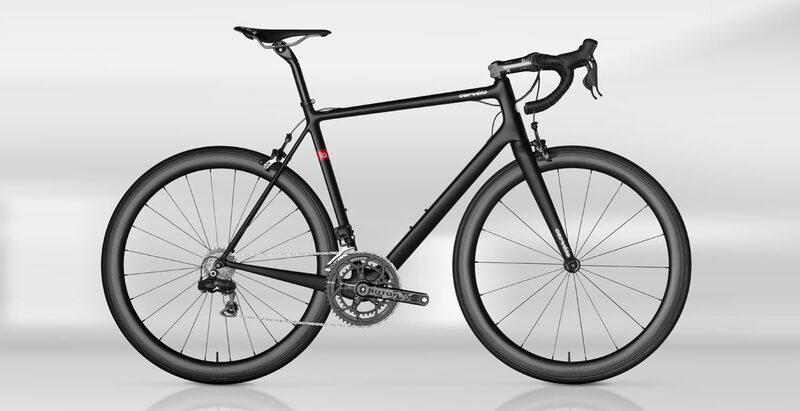 Or I’ll hop onto my brand new Cervélo RCA road bike and power smoothly through the beautiful hills and valleys of heaven on those celestial streets of gold. One can always dream . . . .
First, let me say that your perspective is an amazing breath of fresh air and has helped me grow closer to God. I grew up in a traditional christian background, and soon things started to not add up. When I read your article on the different religions it made so much sense to me. My current question is, although I’m not trans gender myself, what gender are teams gender people when they go to heaven? Are they their biological gender or their authentic gender? I’m honestly just curious. Thanks for stopping by, and for your kind words. I’m glad the articles here are helping you in your spiritual walk. About your question, I really don’t know the answer. Gender and transgender issues are complex. For example, some people are born hermaphroditic. The parents and doctors must then choose a gender for the infant. It’s quite possible that the choice they make will not match the person’s unfolding identity. There are many other situations as well. What gender will the person be in heaven? I honestly don’t know. 1. We carry our settled personality and character with us into the other life. The only thing we leave behind is our physical body. Any gender issues that are a result of physical issues will be resolved in favor of the person’s genuine psychological character. 2. Since God is love, I have full faith that God will provide a happy state in the afterlife for everyone who has lived a good life–meaning a life of love and service to their fellow human beings–regardless of gender identity issues. God looks at the quality of a person’s character. If by “resource management” you mean issues of managing nature, agriculture, raw materials for manufacturing and supporting the population, and so on, then that per se is not an issue in the spiritual world. There, our natural surroundings, including all the flora and fauna, do not have an independent existence. Rather, they appear, persist, and disappear as an expression of the thoughts and feelings of the communities of angels (or in hell, of devils) there. If you see fields of wheat or stands of timber or herds of elk in the spiritual world, it is because they are expressing the way of thinking and feeling of the communities of people in the vicinity. This is not exactly “creating our own reality,” since God is the one actually doing the creating through the prism of the minds of the angels and spirits living there. But the effect is the same either way: in the spiritual world, everything around us expresses what is within us. This means that in heaven, what we need to manage is not the world of nature and its resources, but the world of our thoughts, feelings, and interactions and relationships with other people. Assuming we do a good job of this, then the environment around us, as an expression of these inner things, will take care of itself. Of course, in hell people are very bad at managing their thoughts, emotions, and relationships because they are focused only on their own pleasure, possessions, and power. So they tend to live in rather barren places and experience a scarcity of food, clothing, and so on. The way things work in the spiritual world does have its parallel here on earth. When we as a society are focused on wealth, power, and personal pleasure above all else, we tend to not just use but to abuse the natural resources available to us, and blight the planet, causing scarcity, famine, and hunger. But when we put our mind to loving our neighbor as ourselves, including providing for other people’s needs as well as our own, and being content with a generally simpler and less consumptive lifestyle ourselves, then we focus more on taking care of nature and the environment, as well as our human communities and their impact on available natural resources, in a much healthier and more sustainable way. This means that ultimately, even here on earth learning resource management skills is all about having concern for other people and for the rest of God’s creation. That’s why engaging in it is good practice for heaven. If you mean something different by “resource management,” please let me know. That pretty well answers it… I had in mind all kinds of resources, natural and otherwise…in this life, money management and time management are some of the big ones, but I even think of things like calorie management as being related (except in sort of an opposite way, since one takes in calories rather than handing them out, but since the quota is limited, one still has to manage them and make sure they are spent on high-quality nutritious food rather than junk food, just like one has to make sure they spend their money and time wisely). But from what I’ve read so far, it sounds like in heaven, we will never run out of “time” to finish whatever we want to get done before a given point, because of how we will function in states instead of limited stretches of time…and it doesn’t sound like there will be money or trade (will there? ), and surely there won’t be any junk food, haha… So is the reason we need to deal with those limitations now, basically to develop self-discipline in general? And empathy and so forth? Yes, I would agree that developing self-discipline, empathy, and so on, and doing practical, useful work for the benefit of others as we do so, is the reason for all of the work in general we do here, including resource management. The purpose of our lifetime on earth is to develop into loving, thoughtful, and capable human beings. We do that, not by retreating to a monastery and praying all day, but by engaging in various kinds of useful service for our fellow human beings. Even as angels, however, we are still finite beings, not infinite beings. There will always be limits on what we can accomplish. Still, with eternity ahead of us, there is always another day to continue the work. And yes, working on people who are still on this earth is, I’m sure, a challenge for angels assigned to that task. And it is a time-limited one, because we only have so much time on this earth. Angels don’t get directly involved in passing laws and making sure people stop at stop signs. However, they do work on our inner desires and attitudes, influencing us toward good ones and restraining us from bad ones to the extent that we are willing to be influenced. That inner influence then has an effect on what we do with regard to laws and stop signs because what we do flows from what we love and want and care about.